CSR is not a new concept in India. Corporates like the Tata Group, the Aditya Birla Group, and Indian Oil Corporation have been involved in serving the community ever since their inception. Many other organizations have been doing their part for the society through donations and charity events. Now a days CSR has become increasingly prominent in the Indian corporate scenario because organizations have realized that besides growing their businesses it is also vital to build trustworthy and sustainable relationships with the community at large. This is one of the key drivers of CSR programs. CSR is coming out of the purview of ‘doing social good’ and is fast becoming a ‘business necessity’. The ‘business case’ for CSR is gaining ground and corporate houses are realising that ‘what is good for workers - their community, health, and environment is also good for the business’. Indian companies have been engaged in various CSR activities such as promotion of primary and higher education among adults and economically disadvantaged sections of society, improving health care infrastructure and increasing environmental consciousness in the country. 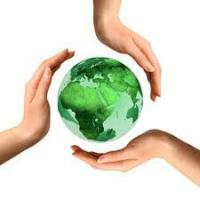 Below given are a few examples of CSR activities of Indian companies. CSR in Tata Group : Considered as pioneers in the area of CSR, the Tata group has played an active role in nation building and socio-economic development since the early 1900s. A survey conducted by the website www.indianngos.com revealed that Tatas spent Rs. 1.5 billion on community development and social services during the fiscal 2001-02 - the highest by any corporate house in India. From its inception, the Tata group has taken up a number of initiatives for the development of society. A unique feature of the group is that 63 percent of the equity capital of the parent firm - Tata Sons Limited - is held by Tata trusts, which are philanthropic in nature. Since inception, the Tata group has placed equal importance on maximizing financial returns as on fulfilling its social and environmental responsibilities - popularly known as the triple bottom line. After decades of corporate philanthropy, the efforts of the group in recent years have been directed towards synchronization of the Triple Bottom Line. Project Drishti by RIL : Project Drishti is meant to restore the eye-sights of visually challenged Indians from the economically weaker sections of the society. This project has brightened up the lives of over 5000 people so far. Adoption of villages : Organizations like Bharath Petroleum Corporation Limited, Maruti Suzuki India Limited, and Hindustan Unilever Limited, adopt villages where they focus on holistic development. They provide better medical and sanitation facilities, build schools and houses, and help the villagers become self-reliant by teaching them vocational and business skills. e-Choupal by ITC Ltd : ITC's Agri Business Division has conceived e-Choupal as a more efficient supply chain aimed at delivering value to its customers around the world on a sustainable basis. Launched in June 2000, 'e-Choupal', has already become the largest initiative among all Internet-based interventions in rural India. 'e-Choupal' services today reach out to over 4 million farmers in over 40,000 villages through 6500 kiosks across ten states.